Preparation: Using a lime wedge, wet the rim of the glass and salt half the rim. 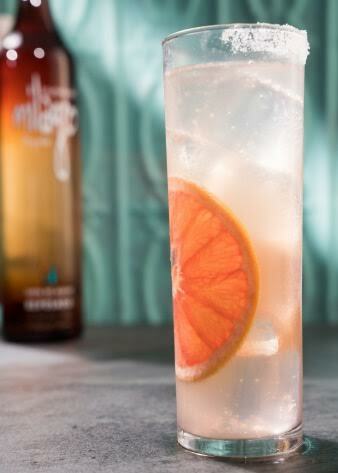 Add ice, Milagro Reposado, Ancho Reyes and grapefruit soda. Squeeze a wedge of lime and discard.